Click an image for larger photo and details. The Longmen Caves near Luoyang, commemorate the Buddha. 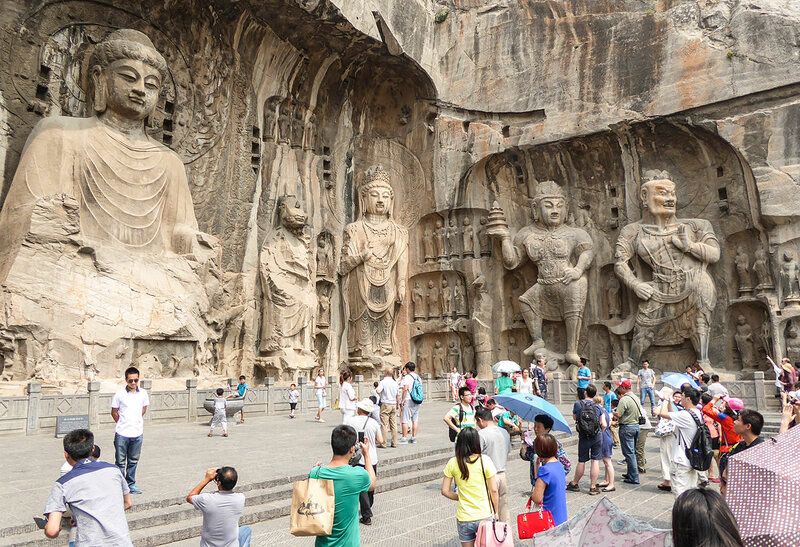 There are around 10000 carvings on the exterior of the cliffs and within caves. Behind the scenes at the theater! 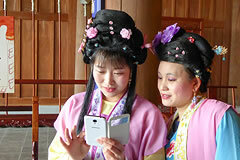 These women actors were taking a break from the performance of a play in the ancient town of Huizhou, Anhui province. The play is about a woman who was wrongly accused of killing her husband. Michael discussed the play with the cast, and then we joined the crowd to watch the performance. 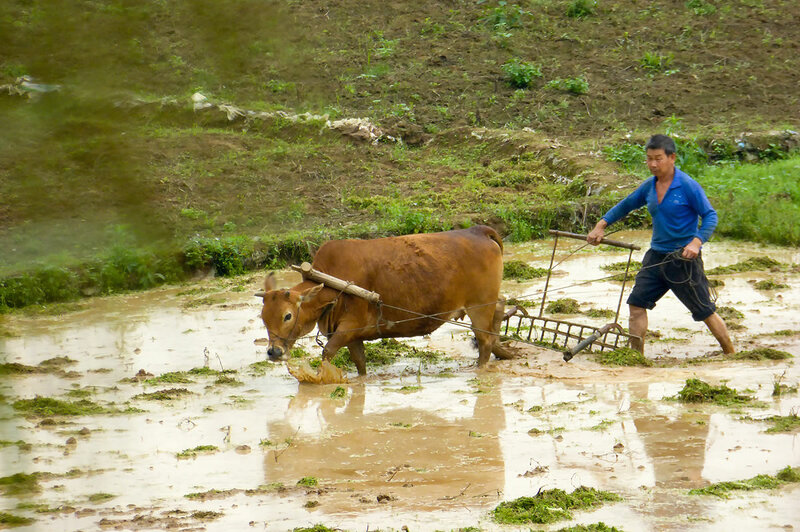 On the road in rural south China. 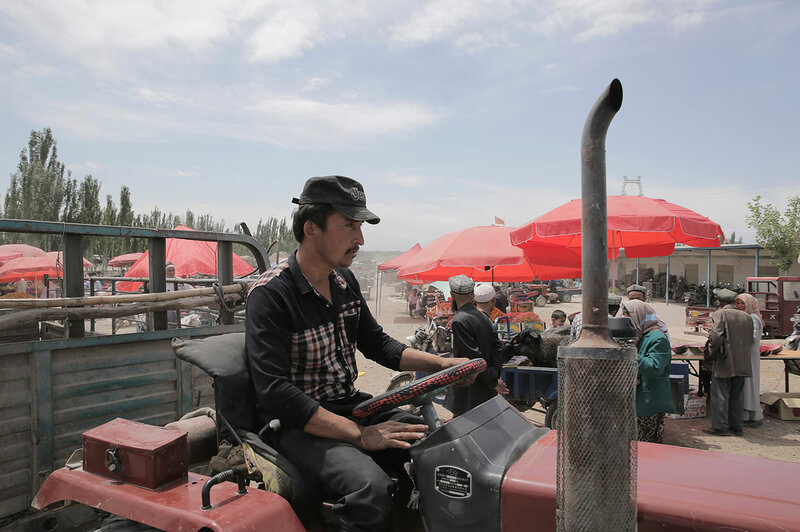 We travelled widely using many forms of transportation to reach locations deep in the countryside all over China - trains, cars, jeeps, and even on the back of someone's motorbike. 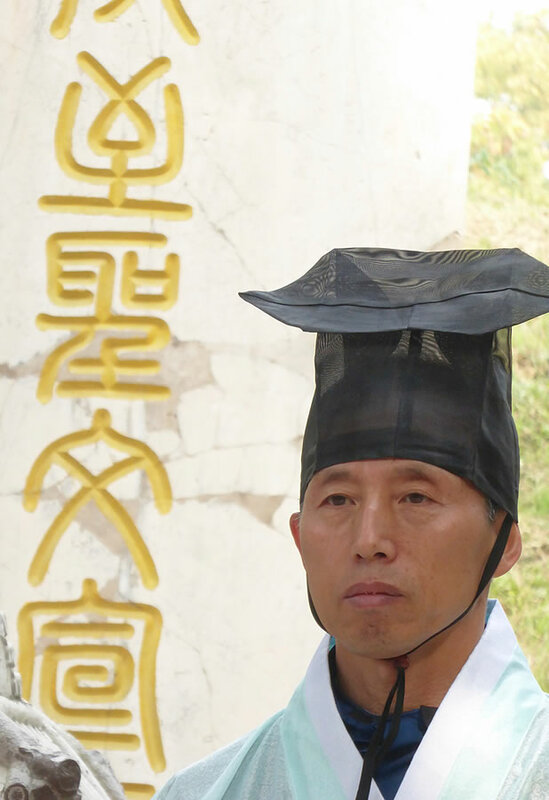 We visited a school in Yanshi to learn all about Du Fu (712-770) who was an important poet during the Tang dynasty. 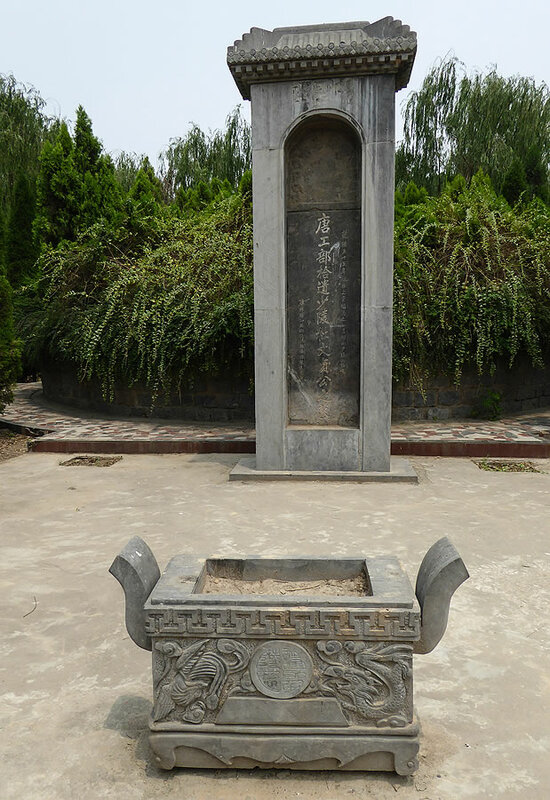 The students took Michael on a tour to see Du Fu's grave – which is within the school grounds! 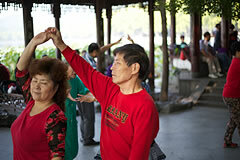 We visited Nanjie village in Henan – the last communist collective in China. 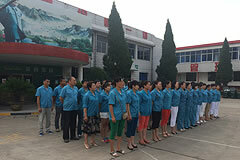 Factory workers sing Maoist songs before they start work in the morning. This is the famous Sunday livestock market in Kashgar, Xinjiang. 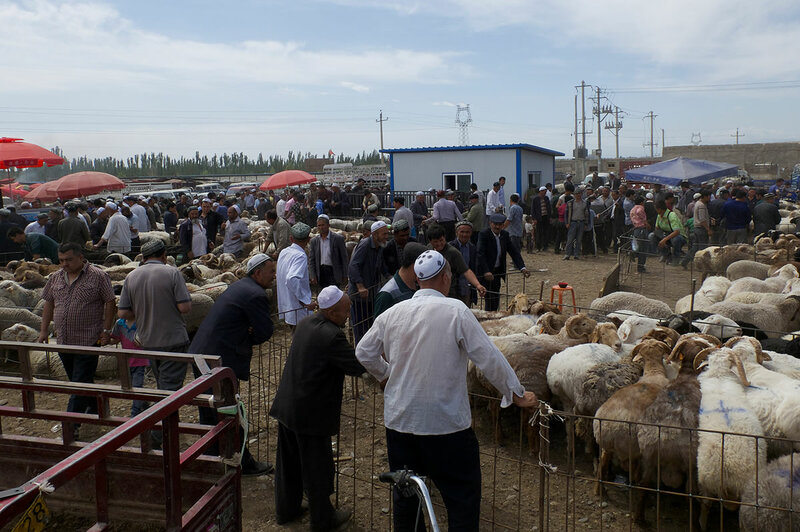 People come from as far away as 250–300 miles to gather at this market, bringing whole flocks of sheep just for the one day. 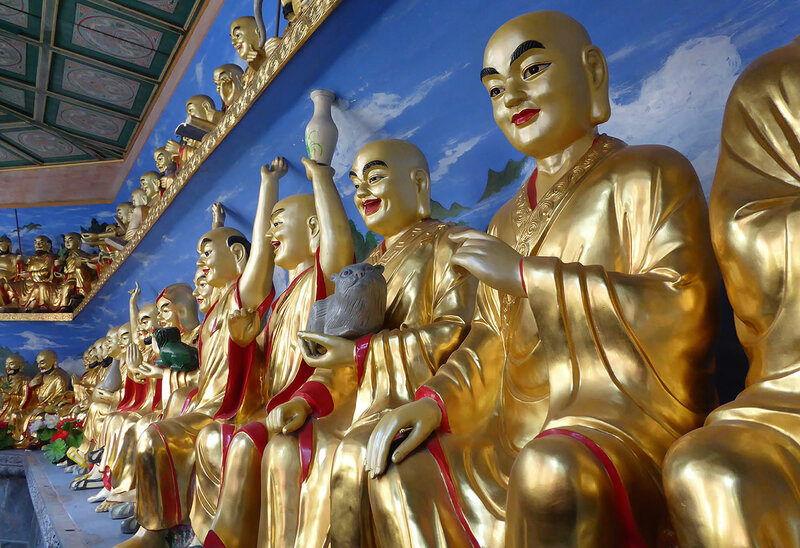 Statues in the Daxiangguo Monastery, in Kaifeng. 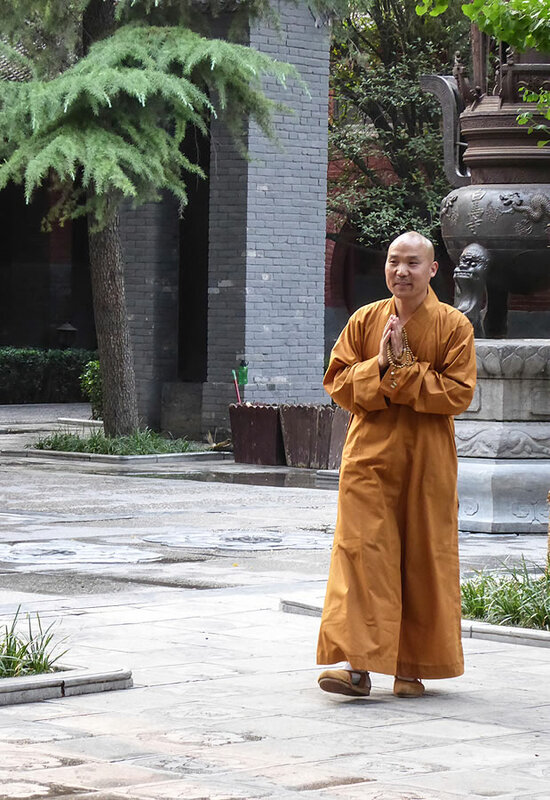 This is the monastery where famous Song poet Li Qingzhao would stroll with her husband. Michael first visited this site in the 1980s, when it was in a sadly dilapidated state. 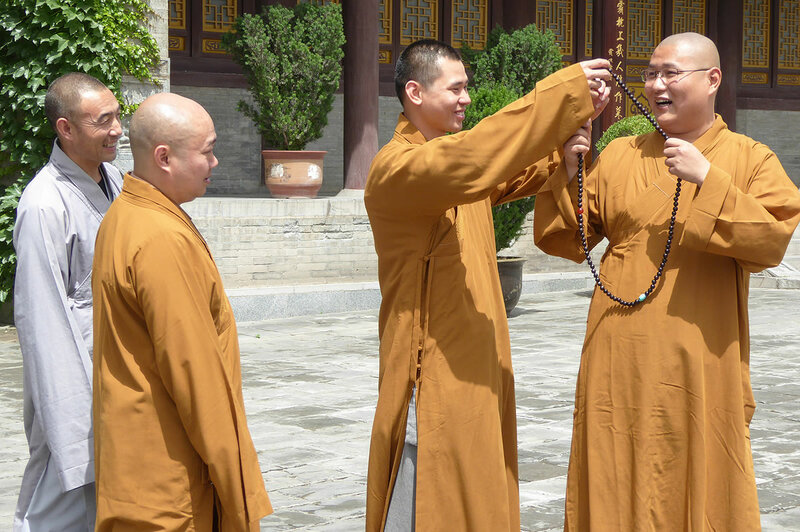 In 1992, the monastery was restored, and it is in gleaming condition today. Our soundman Mick saw this drawn on a wall during our time in Kaifeng. He was very intrigued by it, so he took a quick snap. 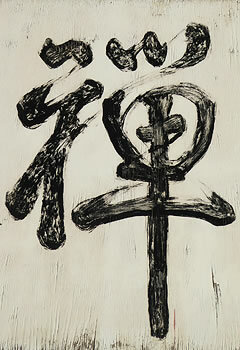 Our Chinese crew told Mick the it is the Chinese character 禅 chan, or zen. Zen is a school of Buddhism that began in the Tang dynasty in China. 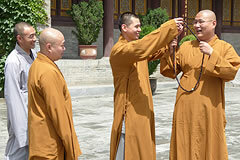 Zen practice concentrates on observing the breath and mind, whilst encouraging group meditation. We have a copy on our office wall as a reminder when things are busy! Statues at Qianling Mausoleum, near Xi'an in Shaanxi province. The mausoleum is the joint tomb of Tang Emperor Gaozong and his wife Empress Wu Zetian. 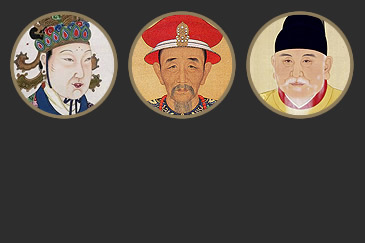 After his death, she became the only woman emperor of China. We travelled to the village of Dinggou, outside Yangzhou, with an acting troupe. 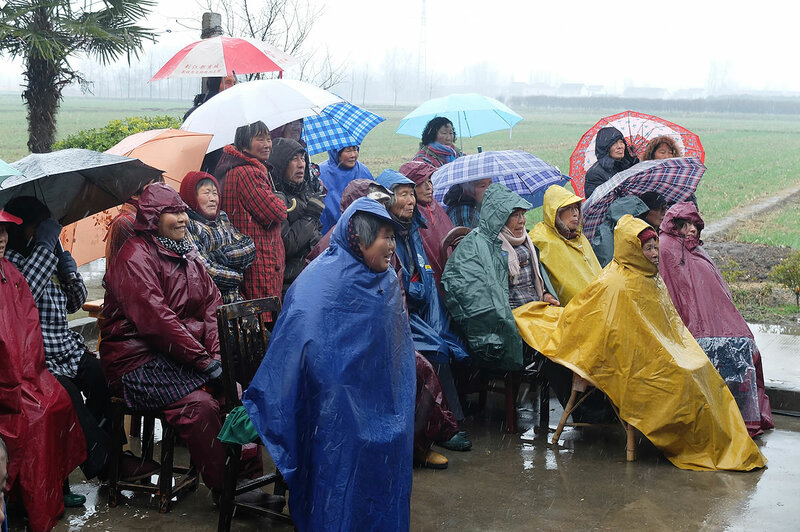 They were visiting the village to perform a traditional opera for a special occasion – a 90th birthday celebration. 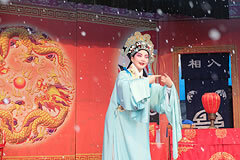 The performance was outside in the open air. Despite the snow, the whole village gathered around to enjoy the performance. 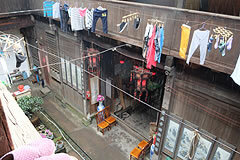 We visited a popular restaurant in Kaifeng. 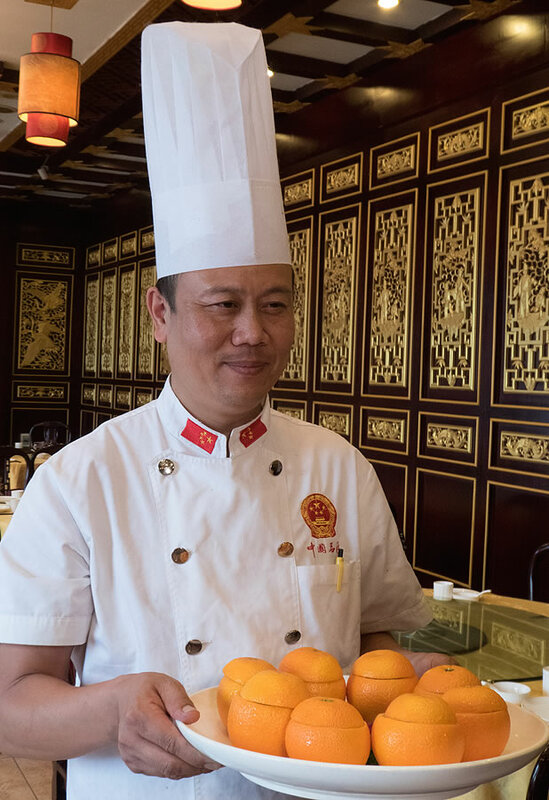 During the Song dynasty the Chinese developed the first great restaurant culture of the world. Michael was intrigued by a Song dynasty cookbook called 'Pure Recipes from a Mountain House'. The head chef at the restaurant was kind enough to adapt a recipe from the Song cookbook for Michael (who is a vegetarian). 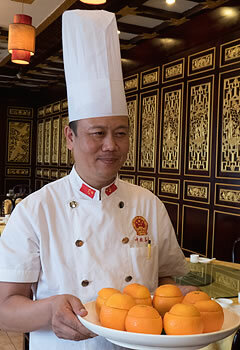 The special dish he chose was – oranges stuffed with mushroom, pear and lotus seeds. Doesn't it look delicious! In Kaifeng you can find women-only mosques and even more interestingly, they have female imams. 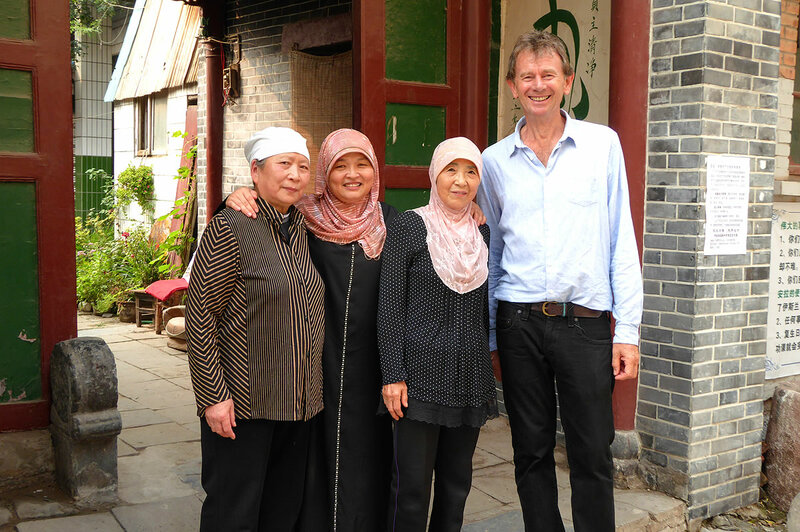 During our time in Kaifeng, Michael met Guo Jingfang who took us to visit Wangjia Alley mosque, where we were warmly welcomed. The mosques' prayer leader believed that her main job was education – teaching women to read the Koran. The Sacred Way is a 4-mile long road, which leads to the Ming tombs in Beijing. 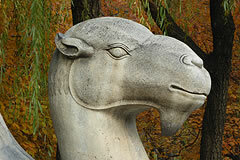 Along the road are statues, usually 12 human figures and 24 animals (four versions of each). Each animal represents a certain idea. Our favorites were the camel and the lion. The lion symbolises solemnity and the camel the vastness of the empire. 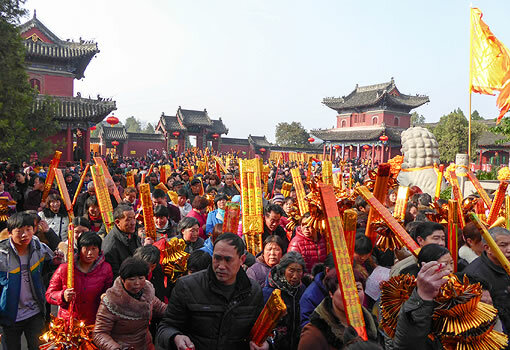 We joined thousands of people at a rural temple fair in Zhoukou, North China. 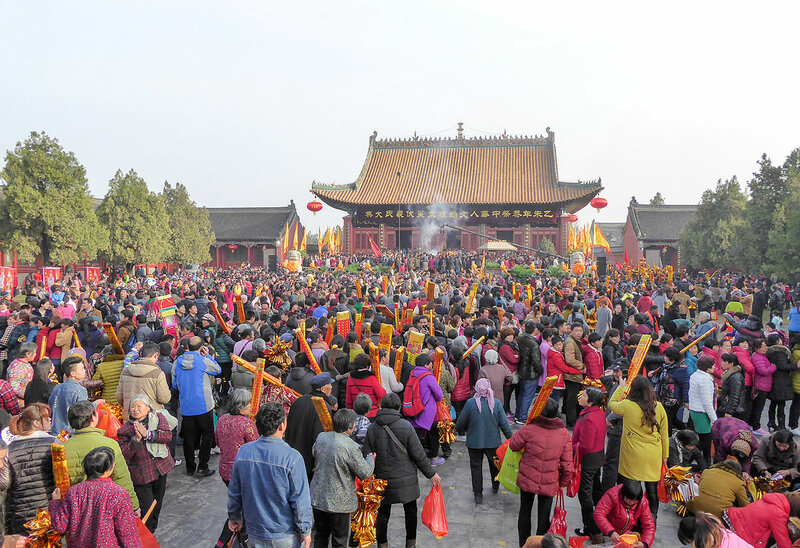 The temple commemorates the ancient Chinese gods Fuxi and Nüwa, who are said to have created humankind. People attending the fair explained to Michael that long, long ago, Fuxi and Nüwa survived a great disaster which destroyed the world. 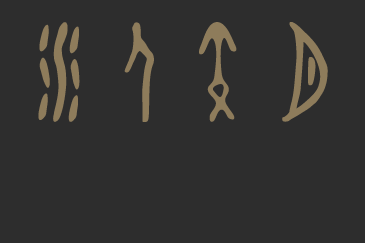 They then created people by mixing their blood with mud from the Yellow River. 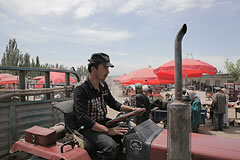 The fair lasts for several days. It was one of the most amazing events we have ever seen! 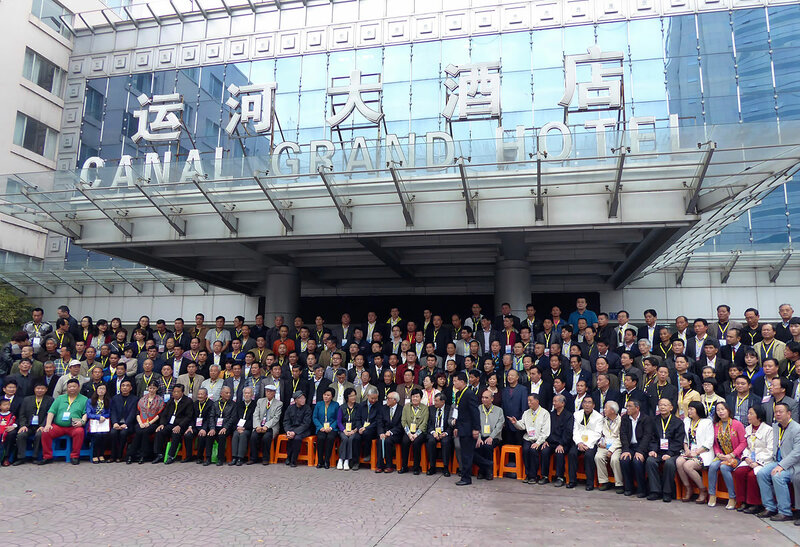 Hangzhou lies at the south end of the Grand Canal and became one of China's most prosperous cities when it was capital during the Southern Song dynasty (1127-1279). 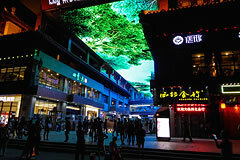 Hangzhou is known for its natural beauty. 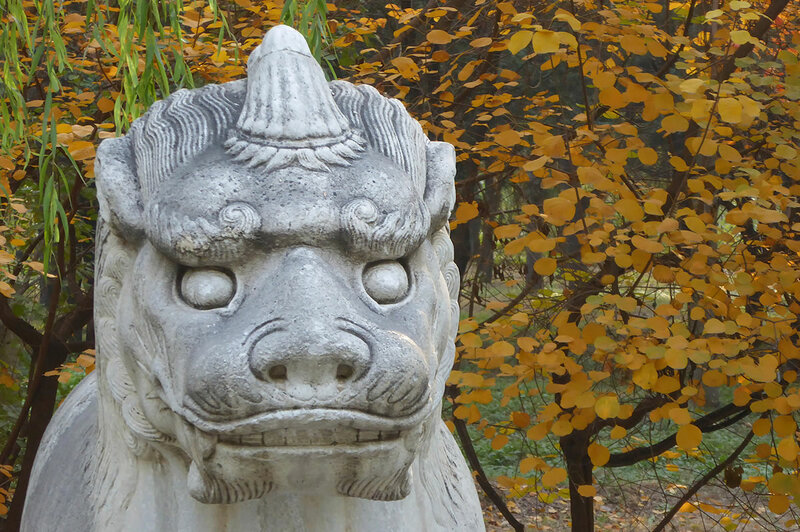 The West Lake in Hangzhou is one of China's loveliest spots. 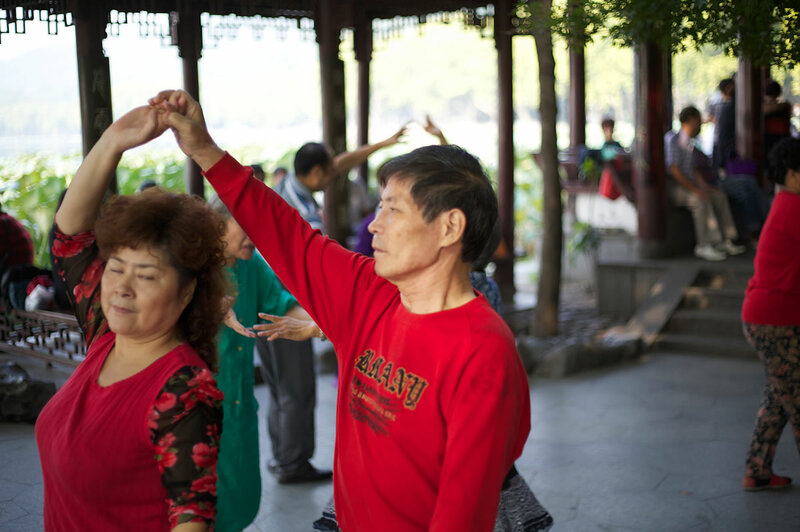 While we were filming near the West Lake we met a group of local dancers, who meet to enjoy their time dancing under a pagoda by the lake. 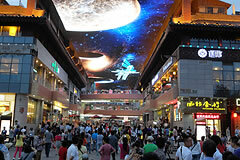 Xi'an used to be called Chang'an and during the Tang dynasty it was the capital of China. 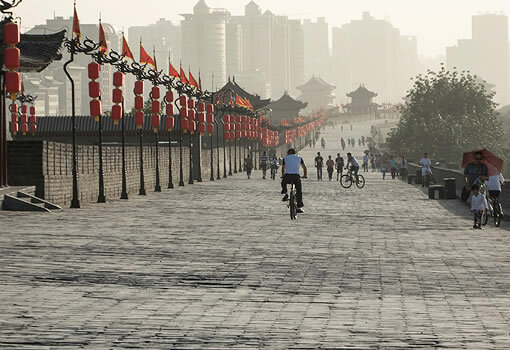 Xi'an city walls are recognised as a UNESCO World Heritage Site. The walls surround the city. The tops of the walls seem as wide as a two-lane highway. When we were filming on the walls we had to use an electric cart to carry all the filming gear and crew along the long walls. They are 8.7 miles long! 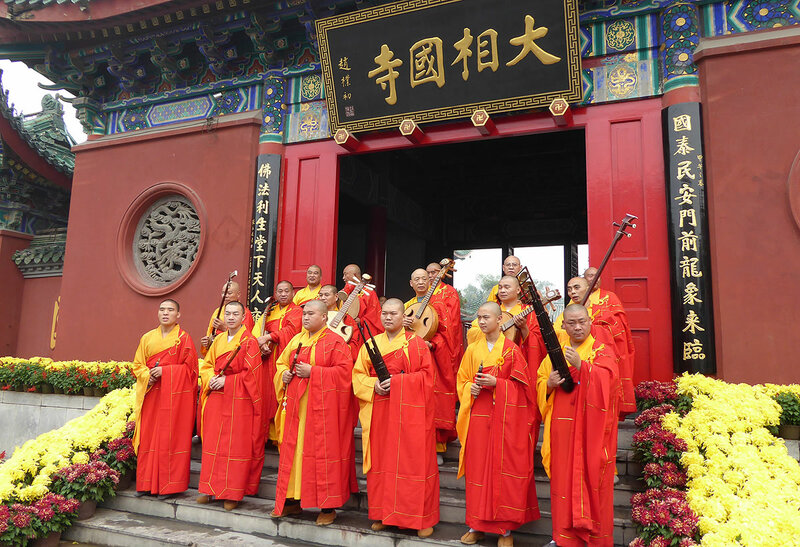 There was a Buddhist orchestra playing when we visited Daxiangguo monastery in Kaifeng. Their music was as beautiful, bright and colorful as their clothing. 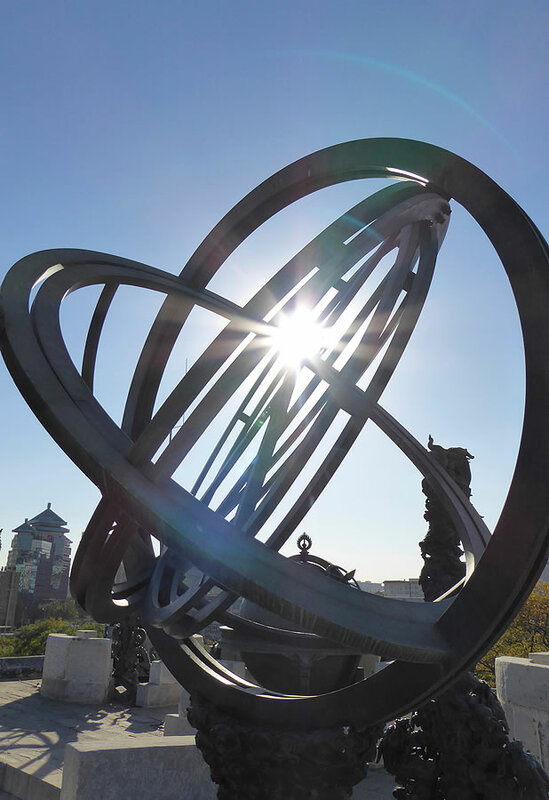 The Beijing Ancient Observatory was first built during the Ming dynasty in 1442. The astronomers used the equipment to make observations and then report back to the Emperor. This is an armilla built in 1673. It was used for calculating the position of celestial bodies. In Qufu we went to the Cemetery of Confucius, where Confucius and some of his 100,000 descendents have been buried. 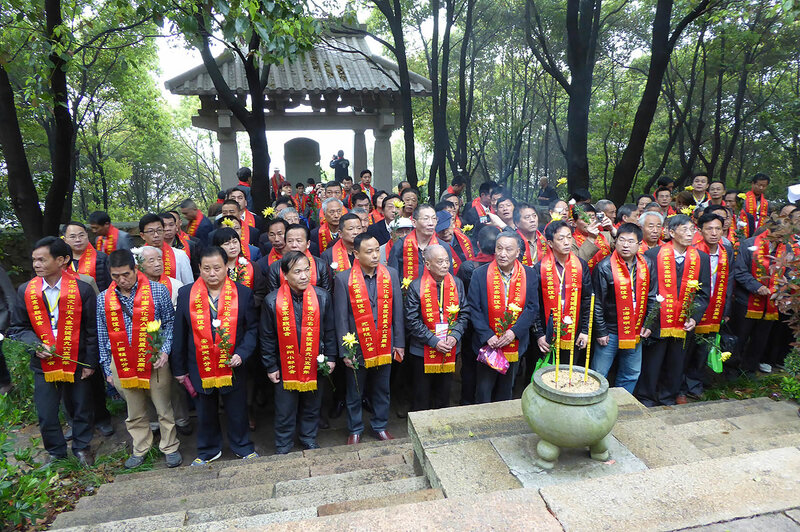 When we were at his tomb we met a group of Confucian scholars that had come all the way from Korea to honor Confucius and carry out a ritual. When Michael was speaking to the scholars one of them told him that they were there to honor Confucius, but they were wondering why Michael and the rest of the film crew were there? 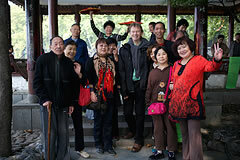 Michael explained that we were there because Confucius was one of the most important figures in the history of China. 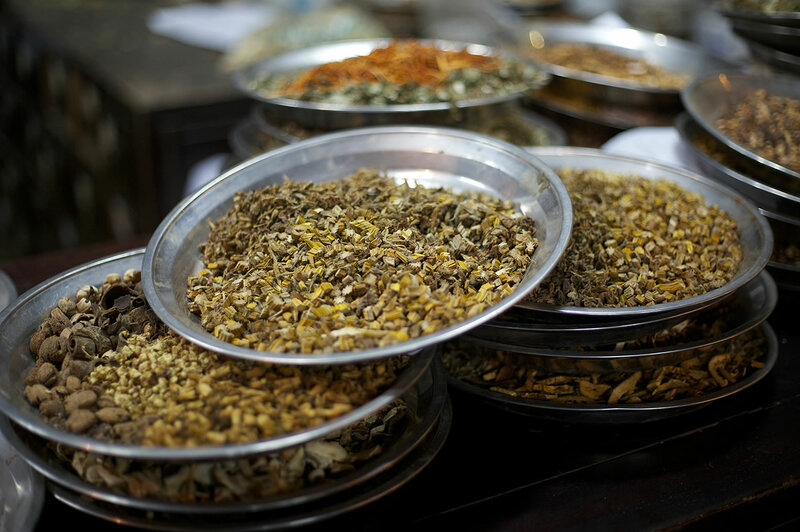 When we were in Hangzhou we visited one of the most famous traditional pharmacies in China, the Fang Hui Chun Tang pharmacy. The pharmacy was founded in 1649. Over 160 doctors work in the pharmacy. 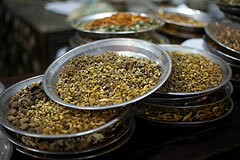 Drawers and shelves filled with herbs and other ingredients line the walls of the beautiful building. A sign in the pharmacy reads (from right to left): Good Medicine Saves Lives. 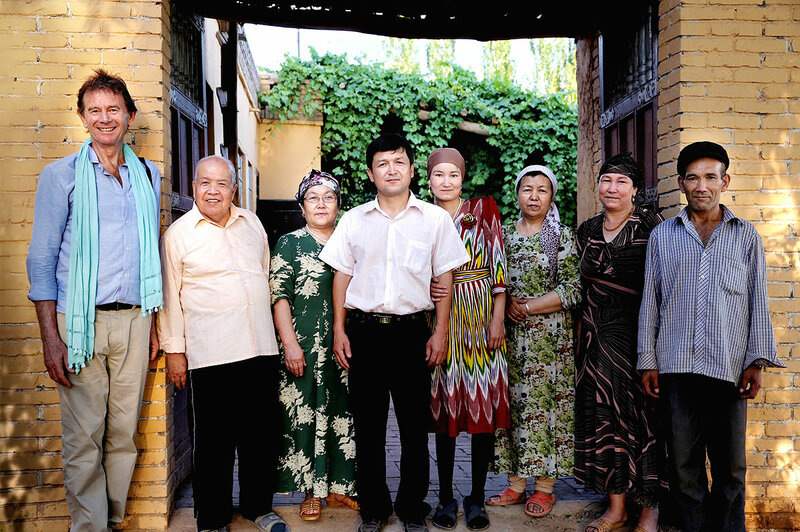 We visited Omar and his family in their traditional Uighur house in the oasis of Turfan. Their house has a big gate and a courtyard full of fruit trees, like mulberry and apricot. Surrounding the house are the family's vineyards that produce grapes – one of Turfan's biggest products. Omar explained to Michael that the trees provide shade. 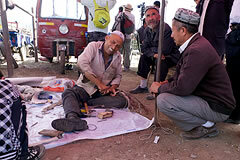 Turfan is the hottest place in China. Two canals run through their garden bringing snow melt from Gaochang mountain to water their plants. Omar's wife offered us local delicacies, homemade bread and home-grown fruit. Omar put it perfectly himself: 'we are not rich, but we have a very good life. We don't have too much stress here. We can say that we have an enjoyable life'. 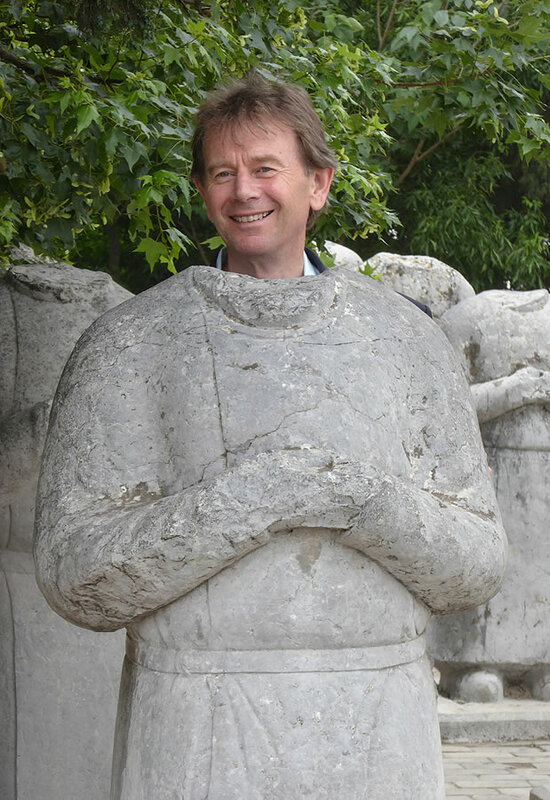 This is one of a number of stone statues of foreign ambassadors at the Qianling mausoleum, near Xi'an in Shaanxi province. 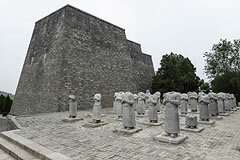 The statues represent the 61 foreign officials who attended Emperor Gaozong's funeral. Unfortunately, the statues are now headless. 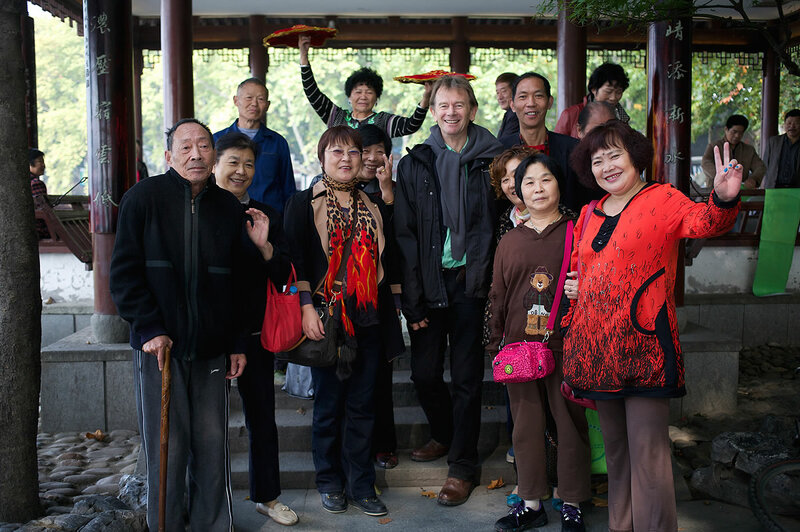 Michael really wanted to experience the world not only in their shoes, but in their bodies! 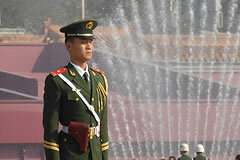 A soldier stands guard in Tiananmen Square, Beijing. 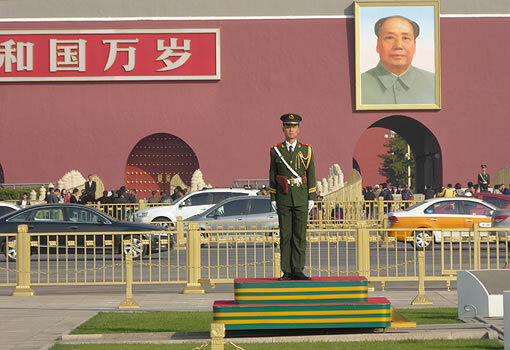 Tiananmen square was built during the Ming dynasty. 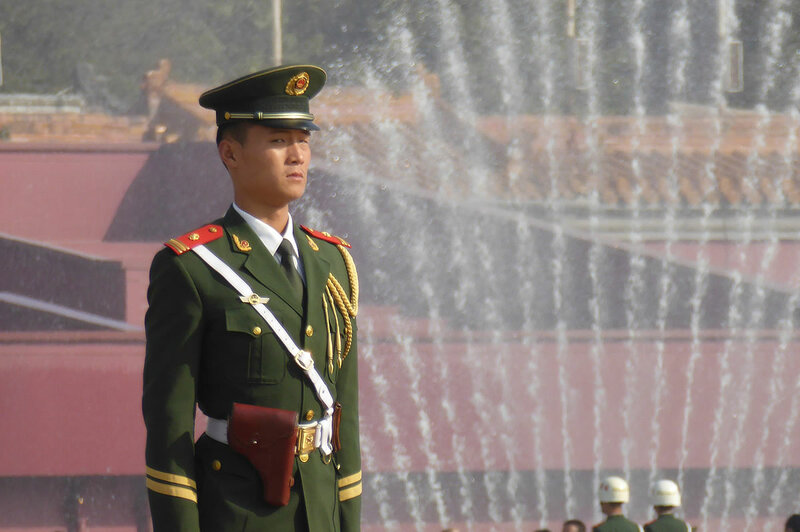 Throughout history it has become an important place for military displays, anniversaries, parades and speeches, such as when Mao famously proclaimed the founding of the People's Republic of China in 1949. The square is also famous for the student protests in 1919, at the start of the radical May Fourth Movement, and the demonstrations of 1989, calling for reforms and more democratic freedoms. One of the most emotional moments during filming was when Michael Wood and the crew visited the Nanjing massacre Memorial Hall in Nanjing. There, Michael spoke to Mrs Chen. 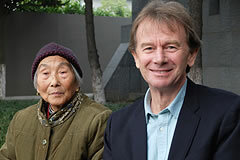 Mrs Chen is a survivor of the Nanjing massacre that occurred when the Japanese captured Nanjing in 1937. Between 40,000-300,000 people were killed. Mrs Chen spoke to Michael about her personal experience. 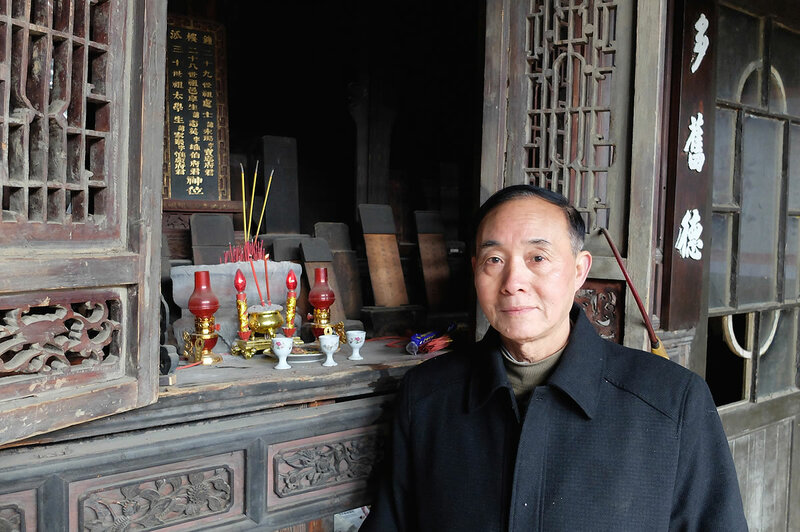 We visited Mr Xie's house in Qimen county. 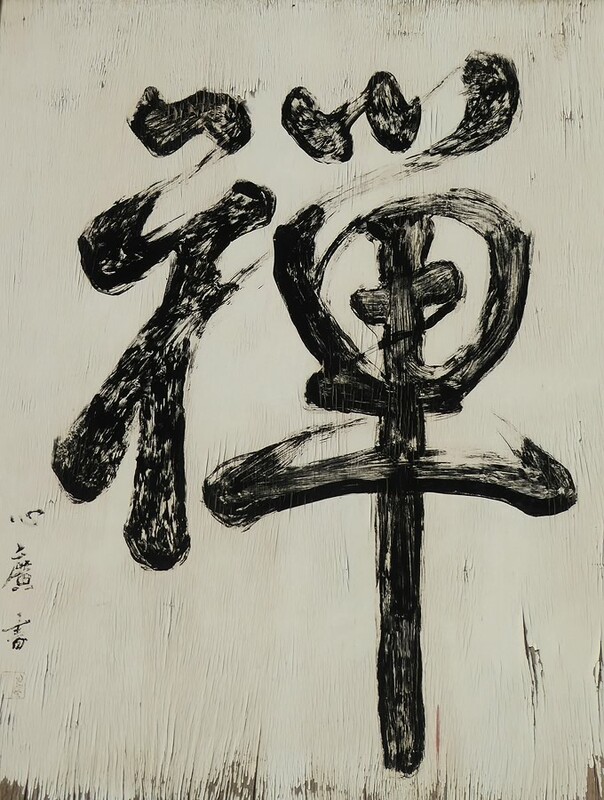 There is a sign in the house which commemorates two of his ancestors, who both became "jinshi", graduates of the highest level of the Chinese civil service examinations. On the top floor there is an altar room. There, wooden plaques commemorate ancestors going back 1000 years. Each plaque records the name, date of birth and date of death. Mr Xie is the 35th generation of his family. Mr Xie told us: "China has 100 major family names. Xie is one of them. 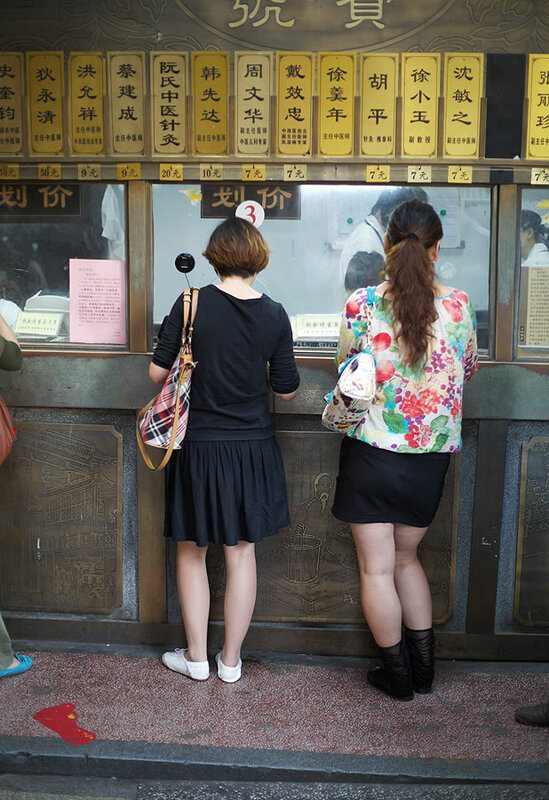 There are about 90 million Chinese people with the surname Xie. 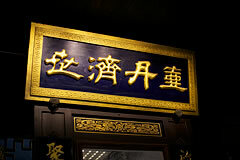 That makes Xie the 34th biggest family name in China." 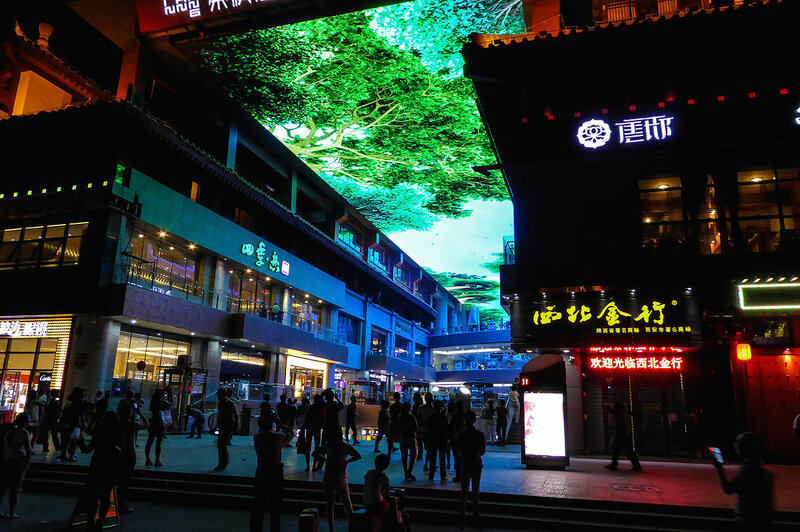 This is a gigantic LED screen suspended over a shopping center in Xi'an. Xi'an is known for being one of the four great ancient capitals of China. 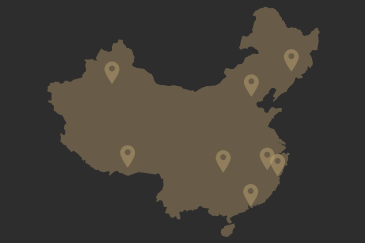 It was the capital of 10 ancient dynasties, most famously the Han and the Tang! 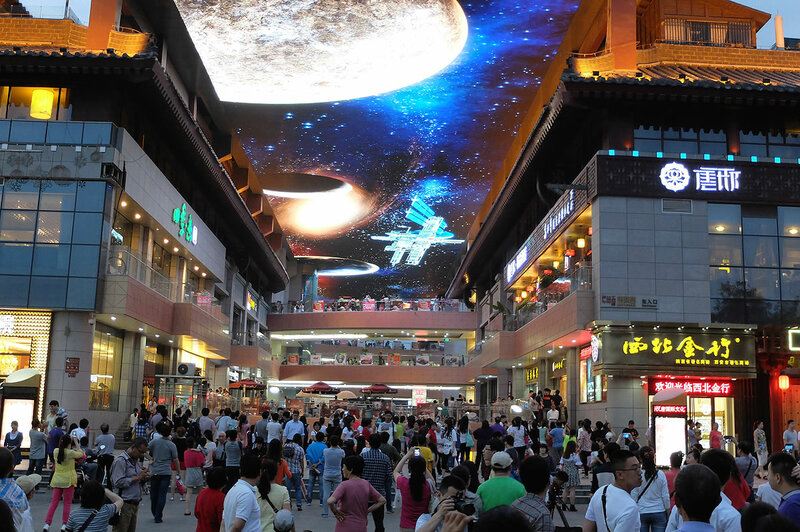 When the screen displayed the planets and the stars of the night sky, everyone shopping underneath stopped to admire it. We had a brilliant crew on all our shoots in China. 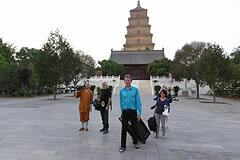 However, nothing can beat the time when we visited the Big Wild Goose Pagoda in Xi'an. One of the resident monks joined us as a runner for the day! One of the best experiences during our time spent in China, was when we visited a traditional storytelling house in Yangzhou. 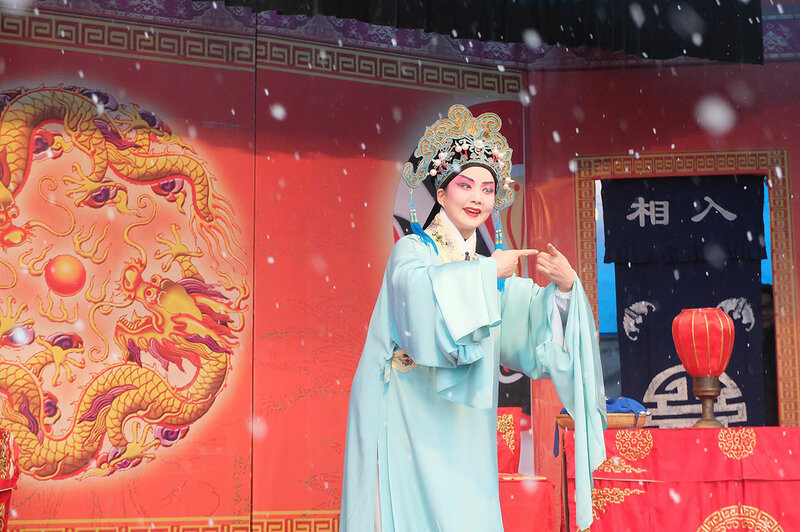 In Yangzhou a professional style of storytelling, known as pinghua, has been around for hundreds of years. The stories are usually very long, and audiences come back night after night to hear the whole story. 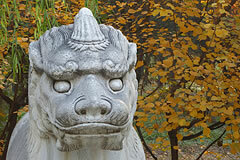 On our first visit, we were told the story of Wu Song killing the tiger. The way that the storytellers tell the stories is so animated that you don't need to know the language to follow the story. In fact, the stories are told in a Yangzhou dialect, which most Chinese people don't fully understand. 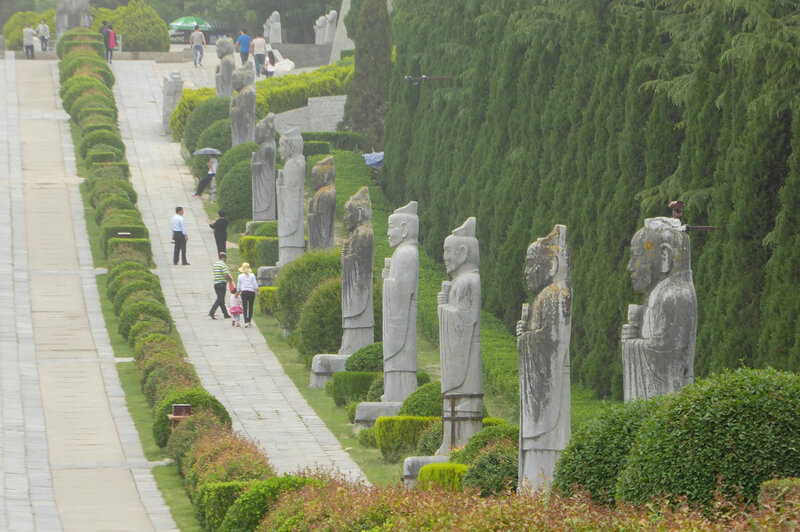 These are stone statues of foreign ambassadors at the Qianling mausoleum, near Xi'an in Shaanxi province. 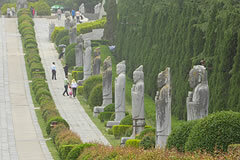 The statues represent the 61 foreign officials who attended Emperor Gaozong's funeral. Unfortunately, the statues are now headless. 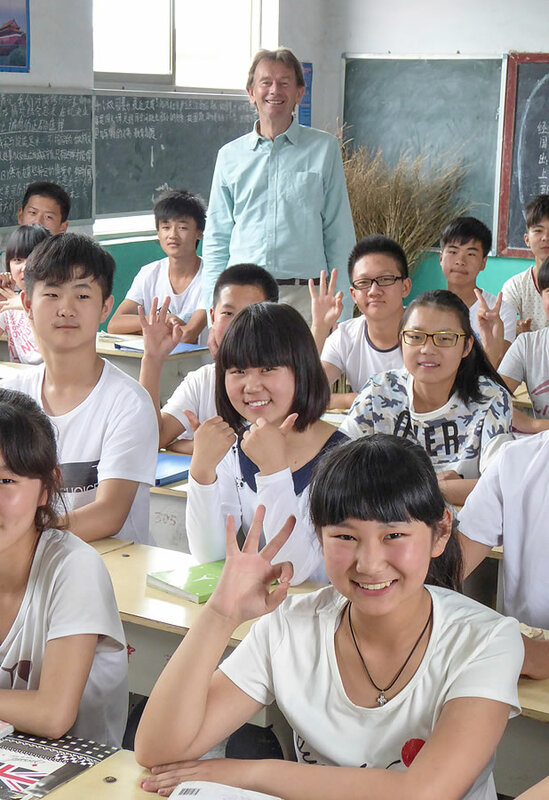 We visited a school in Yanshi to learn all about the poet Du Fu (712-770) who was an important poet during the fall of the Tang dynasty. 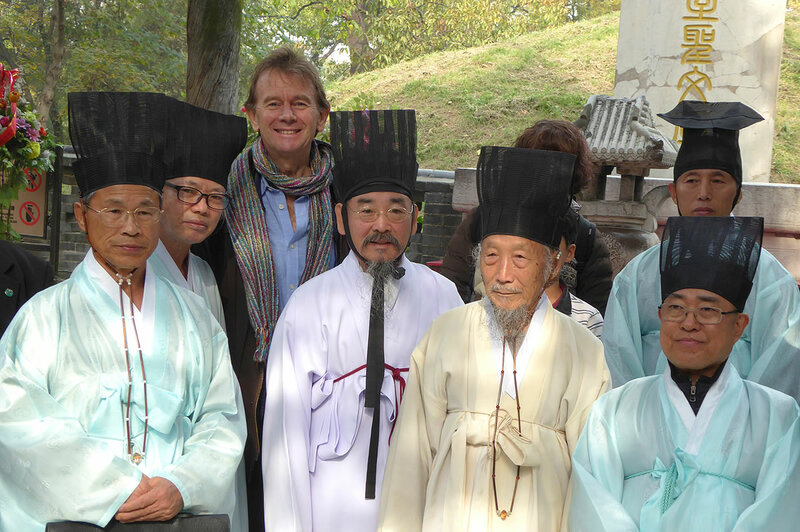 The students took Michael on a tour to see Du Fu's grave – which is within the school grounds! 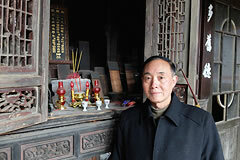 We visited Mr Xie's house in Qimen county. 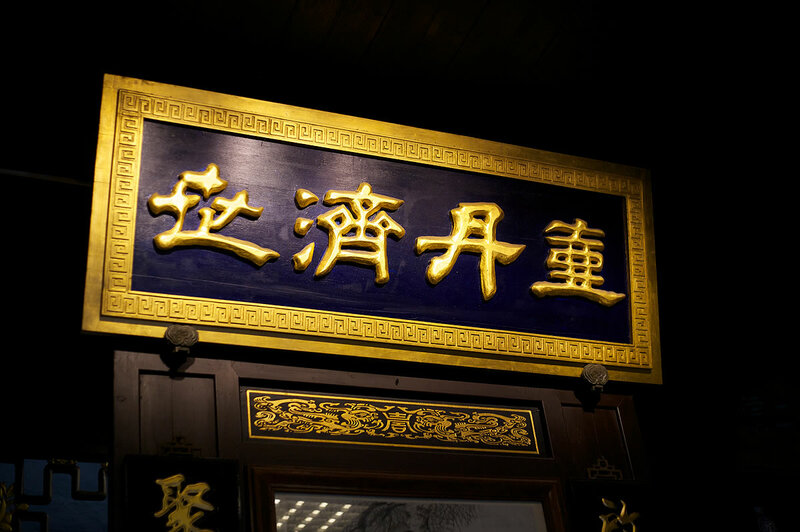 There is a sign in the house which commemorates two of his ancestors, who both became "jinshi", graduates of the highest level of the Chinese civil service examinations. On the top floor there is an altar room. There, wooden plaques commemorate ancestors going back 1000 years. Each plaque records the name, date of birth and date of death. 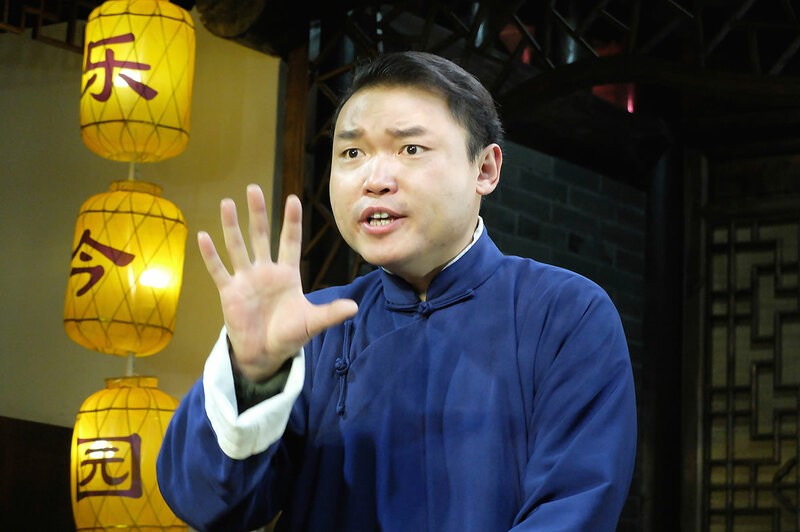 Mr Xie is the 35th generation of his family. 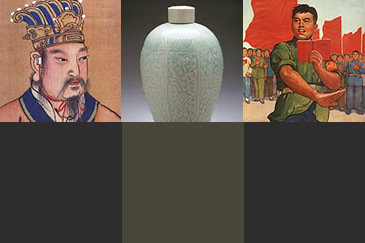 This is the Qin family. We were kindly invited to join them in Wuxi for their family reunion during the Qingming festival, when the Chinese honor their ancestors. 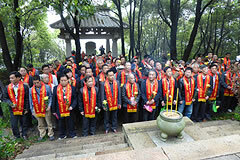 The family came from all across China to gather at the tomb of their founding ancestor Qin Guan, a poet who lived 1000 years ago!